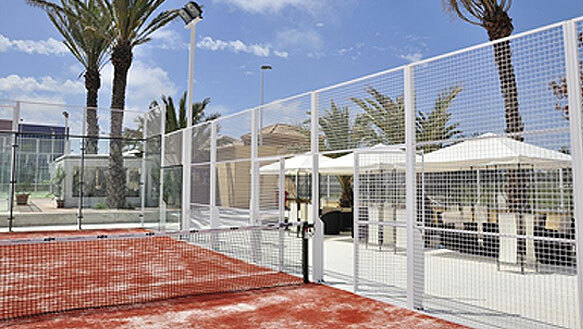 Kaktus Padel offers high quality standards in construction of padel courts and guarantees the best solution for your demands. We develop your project according to your needs and give it a personal insight. Where can I play padel? Welcome to Kaktus Padel website. We are pleased to show you our services. Our company offers high quality standards in the construction of padel courts and guarantees the best solution for your demands. We will develop your project according to your needs and give it a personal insight. We are committed to high quality products and the best service in order to provide our customers with safety and satisfaction. That is why our motto becomes our purpose. We at Kaktus Padel offer high quality products and solutions in the construction of padel courts. We analyse carefully the characteristics of your demands and thus develop a personalised project. Our products have a guarantee of two years, extendable to five based on a previous maintenance contract. Kaktus Padel courts are built with the best construction materials and supplies so we can offer good quality products at best price. Kaktus Padel offers a wide variety of finishings in its products. You can choose amongst many colours for your padel court floor, which will provide a serious and neat outlook to your sports club. You can also have your logo printed on the court by using an epoxy floor coating especially designed to resist outdoor conditions and keep its colours. The higher the quality we provide through our products, the better results our customers get. A high level of quality also implies less maintenance services and a more economic business. That is why we always commit to Quality, Service and Safety. We build sport, we make your business. Best price on the market.